An avalanche, also called a “snowslide”, is a mass of snow, ice, and debris sliding rapidly down a mountainside, and is a risk to any winter hiker. Just as a snowball rolling down a hill picks up more snow as it goes, an avalanche can achieve significantly more volume and mass as it travels. Although they rarely make the news, avalanches cause an average of 28 deaths a year. This event may seem like a rare occurrence, but it happens a lot more often than you’d think; certainly more than, say, shark attacks (which get a lot more press). Snowslides are part and parcel of the winter wilderness experience, and it pays to know what to do if you’re caught in one. 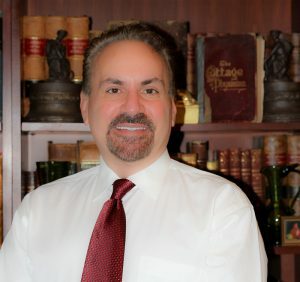 If you’re not prepared to deal with issues associated with your environment, then you have made it your enemy. This is not just good advice for skiers or backcountry hikers; anyone driving on mountain roads in winter could get in caught in an avalanche if not prepared. Avalanches may be caused by simple gravity, a major snowfall, seismic tremors, or human activity. The speed and force of an avalanche may depend on whether the snow is “wet” or “dry powder”. Powder snow avalanches may reach speeds of 190 miles per hour. Wet slides travel slower, but with a great deal of force due to the density of the snowpack. What Kills An Avalanche Victim? 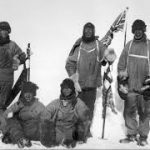 These members of the 1912 Scott Expedition froze to death, but avalanche victims more likely succumb to trauma or suffocation. Trauma: serious injury is not uncommon in an avalanche, and not just due to the weight of the snow. Debris, such as rocks, branches, and even entire trees, can be carried along in the cascade and cause life-ending traumatic wounds. Suffocation: When buried in the snow, asphyxiation is a major risk. Densely packed snow is like concrete; many victims may find themselves immobilized and unable to dig themselves out of trouble. 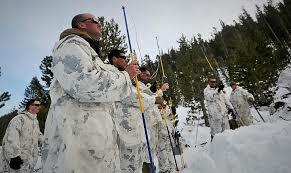 Hypothermia: Hypothermia is, surprisingly, the cause of death of only a small percentage of avalanche victims. It’s much more likely that they will perish due to traumatic injury or suffocation before they freeze to death. On any wilderness outing, it makes sense to go prepared. Appropriately warm clothing for the weather is, of course, a basic concern in winter. Food, water, heat packs, spare dry clothing, and a cell phone are just some of the items you should take with you if you’re attempting a mountain hike in January. 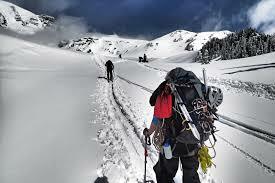 Most backcountry expeditions are best attempted in a group. That goes for avalanche country, as well, except for one thing: Space yourselves out far enough so that there’s not too much weight on any one area of snow. If a member of your party is buried in the snow, know that you have to act quickly to find them and dig them out. It’s unlikely that going for help will end in a successful rescue. Therefore, it’s especially important to have some specialized items in avalanche country. An avalanche beacon: A device that emits a pulsed radio signal. Everyone in the group carries one. If a member gets buried in an avalanche, the rest of the party picks up the signal from under the snow. The receivers interpret the signal into a display that aids the search. An avalanche shovel: Lightweight short aluminum shovels that fit inside your backpack and help chop and remove snow and debris on top of a buried hiker. These shovels usually have telescoping shafts. Shovels with D-shaped grips can be used with mittens. An avalanche probe: Essentially, a stick that helps you pinpoint the exact location of an avalanche victim and see how far down he/she is. 2 meters or more in length, you can use the probe to tell a victim under the snow from the ground; the victim will feel “softer”. A helmet: Many fatalities occur due to head trauma from rocks and debris flung around by the snow. Skier’s Air Bags: Relatively new, these brightly colored air bags auto-inflate with a trigger; they work like a lifejacket to keep you buoyant and, therefore, closer to the surface and easier to find. Yell: Let everyone in your group know that you’re in trouble. At the very start of the slide, wave your arms and shout as loud as you can to alert as many people as possible to your location. Move. If you started the avalanche, you may notice a crevice forming in the snow. Jump uphill of it quickly and you might not get carried off. If this isn’t an option, run sideways as fast as you can away from the center of the event, which is where the snow will be moving fastest and with the most force. Get Lighter. Heavier objects sink in snow, so jettison unnecessary heavy equipment so that you’ll be closer to the surface. Throwing off something light isn’t a bad idea either: A loose glove or hat on top of the snow could signal rescuers to your general location and save precious time. Deploy your avalanche air bag if you have one. Hug a tree (or rock). If the avalanche is relatively small, you could grab the nearest immobile object and hold on for dear life. In a very large avalanche, trees and rocks may not be safe anchors; trees can be uprooted by the force of the snowslide. Swim! To survive an avalanche, the key is to stay as close to the top of the snow as possible. Increase your surface area by spreading your legs (feet downhill) and raising your hands. While in this position, swing your arms while trying to stay on your back (it’s easier to breathe if face up), similar to swimming backstroke. With any luck, this strategy will keep you towards the surface of the snow. You did your best, but still got completely buried in the snow. You’ve got maybe 15-30 minutes, on average, before you suffocate. Snow may be porous, but warm breath melts the snow which then refreezes as solid ice. This makes breathing difficult. As the snow slows: The larger the air pocket you have, the longer you’ll survive. As the snowslide slows to a stop, put one arm in front of your face in such a way as to form a space that will give you the most air. If possible, raise the other arm straight up toward the avalanche surface. Your glove might signal your location to rescuers. Expand your chest by inhaling deeply so that you have more room to breathe once the snow has settled. Once buried: Once you are completely buried, the snowpack may be so dense as to prevent you from moving. Stay calm, in order to use up less oxygen. If you’re not sure which way is up, spit. The spit will go towards the ground due to gravity. If you can move, work to make a bigger air pocket in the direction of the surface. You’ll only have a second or two to act to avoid most avalanches. Rapid action, and some basic rescue equipment, may prevent you from being the harsh winter’s latest victim. 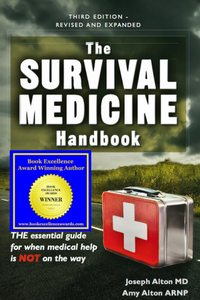 Find out about how to survive avalanche and just about every other kind of natural disaster, plus much more, in the 700 page Third Edition of the Survival Medicine Handbook!